Donald Willis Douglas was bitten by the aviation bug early and, as the saying goes, “stayed the course.” As a young man in 1908, he watched the Wrights fly at Curtiss Field on Long Island., He entered the U.S. Naval Academy at Annapolis in 1909. Three years later, when MIT started its first courses in aeronautical engineering, Donald switched and completed their 4-year curriculum in only two years for a Bachelor of Science in Aeronautical Engineering and in so doing, became the first person to receive that degree from MIT. The Wright Brothers test fly their aircraft on Fort Myer's parade field. The 1903 Wright Flyer on display at MIT in 1916. A young Donald Douglas as a cadet in the Naval Academy. The DN-1 dirigible being guided to its floating hangar in Pensacola, Florida. A Martin MB-1 bomber over Washington DC. Donald left MIT and worked briefly on the Navy dirigible, DN-1. He was hired by the Glen L. Martin Company and designed the Model S, a Hydro-Aeroplane for the government of the Netherlands, which held world endurance records for three years and set three new altitude record. In 1916, Donald became Chief Civilian Aeronautical Engineer for the U.S. Army Signal Corps. 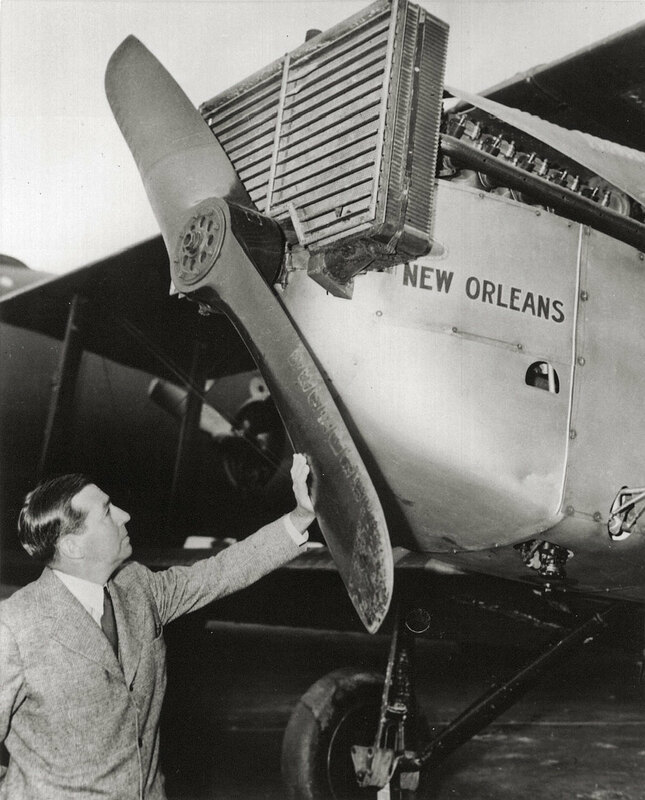 Back to Martin in 1917, he became Chief Engineer and designed the MB-1 bomber, which was the first twin-engine bomber in the U.S. and remained a standard Navy and Marine bomber for a decade. He left Martin at 28 and moved to California to start his own business. These were lean years, with The Boeing Company, the only major aircraft manufacturer on the West Coast, building bedroom furniture in Seattle. Donald Douglas with some wing ribs. On July 10, 1920, The Davis-Douglas Company was founded in the back of a barber shop. Donald’s partner, David Davis, financed an aircraft called the Cloudster o be the first to fly coast-to-coast across the United States. On March 19, 1921, the Cloudster broke the Pacific Coast altitude record by climbing 19,160 feet. On June 27, 1921, an attempt at a cross country flight was cut short by an engine failure causing a forced landing in Fort Bliss, Texas. Following the Cloudster's failed transcontinental flight, Davis lost interest and left the company. Though the Cloudster never got a chance to make the coast-to-coast flight, it does hold the distinction of being the first airplane in the world capable of carrying a useful load greater than its empty weight. 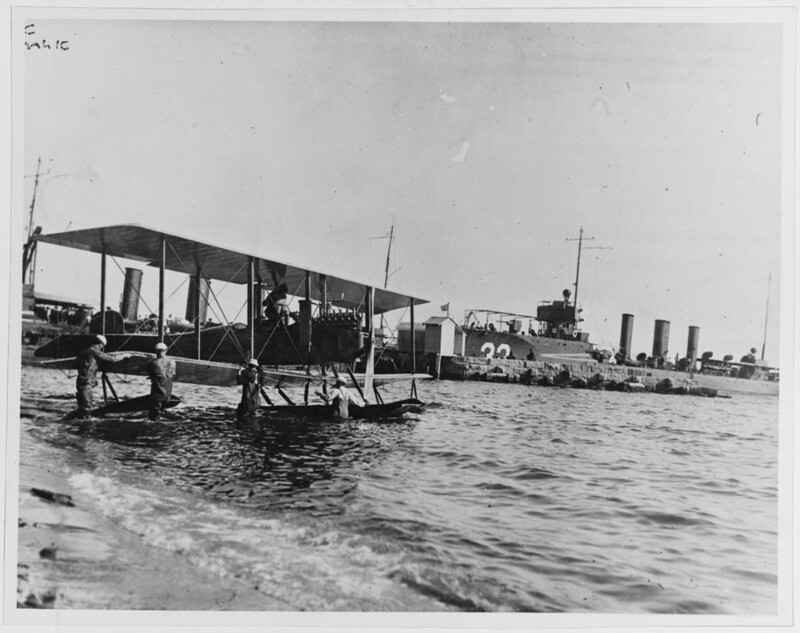 One year later, in 1921, Donald re-organized into The Douglas Company and secured a contract with the Navy for its first torpedo plane, the Douglas Torpedo #2 (DT-2). 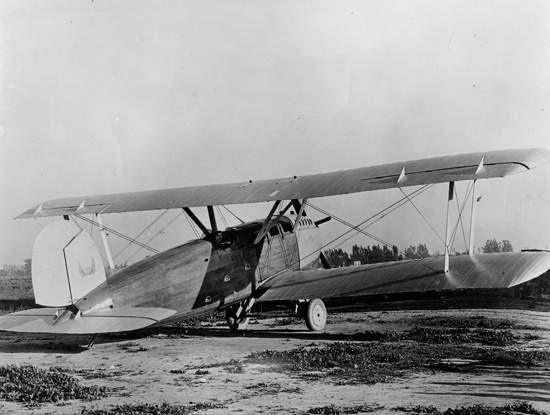 Based on the success of the DT-2, the U.S. Army Air Service approached Douglas in 1923 to create an aircraft to fulfill their mission of being the first to circumnavigate the globe by air. The design of the DT-2 was very advanced and versatile for its time and included features that made it an ideal candidate from which to create an aircraft capable of this record-breaking flight. In particular, it had a welded metal 3-piece airframe which made it very strong and easy to repair. It could be configured with wheels or floats. It also had folding wings for ship movement or hangaring, with removable outer wing panels for easy assembly, repair, or storage. In 1933, Douglas began work on their Douglas Commercial (DC) line of aircraft. These aircraft started a friendly competition with fellow aviation pioneer Boeing Aircraft. Along with the Boeing 247, the Douglas DC-3 is often credited with spurring the growth of commercial passenger service by making air travel speedy, comfortable, and reliable. In 1935, President Franklin Roosevelt presented Donald with the Collier Trophy at the White House for the many technical advancements incorporated into the DC-3. With the events leading up to U.S. involvement in WWII, Donald prophetically wrote that that this was the “hour of destiny for American aviation.” During the war years he helped create methods to go from building aircraft in small batches to creating them in mass quantities via production-line assembly. His company produced roughly 30,000 aircraft between 1942 and 1945 and went from 68 employees in 1922 to being one of the largest businesses in the United States. Like Boeing, Douglas created various aircraft that became critical to Allied Victories. 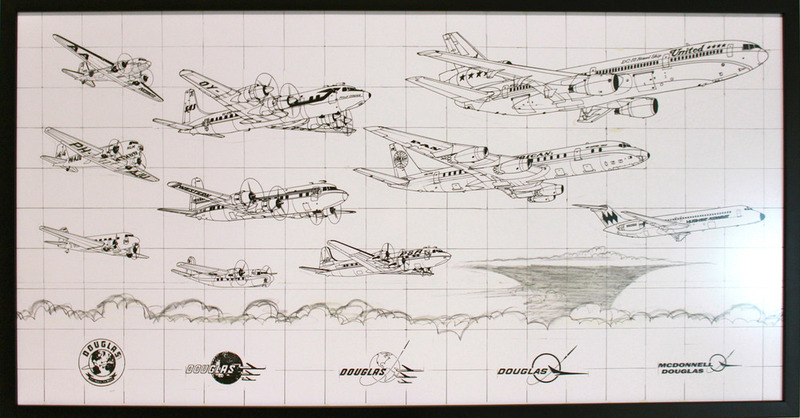 Following WWII, the world benefited from the continued rivalry between the Boeing and Douglas companies as they competed to create innovative airliners to satisfy the growing postwar airline industry. In the 1960s they entered the jet age with style and innovation—Boeing with its 707 and Douglas with the DC-8. Both companies were also contracted by NASA to build stages for the massive Saturn V rocket that would propel the Apollo missions to the Moon. Douglas Aircraft merged with the McDonnell Company to become McDonnell-Douglas in 1967. Though Donald Douglas had turned over the reins of the company to his son in 1957, he remained with the firm as honorary board chairman until his death on February 1, 1981. On August 1, 1997, McDonnell-Douglas merged with the Boeing Company. Thus came to an end the nearly 75-year history of the Douglas Aircraft Company.